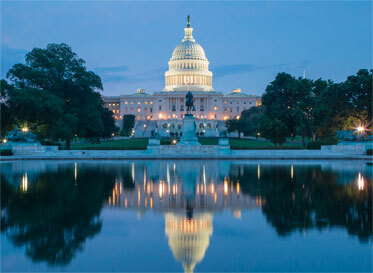 Downtown Washington, DC: Which Neighborhood Matches Your Personality? You know you need to live in the DC area, but which neighborhood is the right one for you? Are you a night owl who lives for a killer bar scene, or are you more interested in an early-to-bed, early-to-rise vibe? Are you bringing the family with you, or are you flying solo? Not to worry! We've gathered the dirt on some of DC's downtown neighborhoods so you won't find yourself trying to sleep in the midst of a banging club scene, or ready to rage where the sidewalks roll up at 8pm. If you've ever been identified as a hipster, Dupont Circle is the place for you. 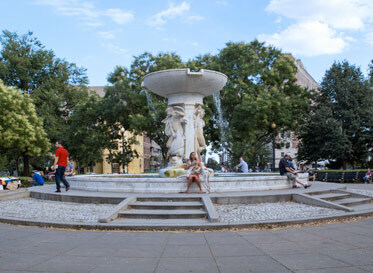 Dupont Circle is one of the more laid back spots in this city on the go; the peaceful park in the center of the neighborhood has lots of beautiful green space with comfy benches made for people-watching. If you're not into the great outdoors, check out one of Dupont Circle's trendy restaurants or funky boutiques. When the sun goes down, Dupont Circle really lights up; it's bar scene is one of the best in the city. Renown for offering good, clean fun, Woodley Park is home to the National Zoo, a huge tourist draw. Despite this, the area is a favorite of DC natives. You'll also find Rock Creek Park, a gorgeous green space serviced by the National Park Service, and it encompasses a golf course, a riding program, and the historic landmark Peirce Mill. Woodley Park is a favorite of people looking to move their families to a safe, ups cale neighborhood, and the culture of the neighborhood reflects that. Capitol Hill is known for it's family-friendly, traditional feel, and it's also the largest historic neighborhood in DC. With more than 35,000 people occupying roughly two miles, it's pretty densely populated, but with the beautiful historical homes and excellent restaurants, who wouldn't want to live there? With weekend flea markets, outdoor summer concerts, street fairs, and a killer farmer's market, you're bound to find something fun to occupy your time. Plus, you could run into a senator! Head to the Northwest quadrant of the city to enjoy quiet residential living; Cleveland Park is quiet and family-friendly, and there are parks and playgrounds for everyone to enjoy. One of the neighborhood's jewels is the Uptown Theater, a gorgeous Art Deco movie palace. If you're looking for a wild nightlife, this probably isn't the place for you, but if you're seeking a refuge from the hubbub of the city, you've found it! 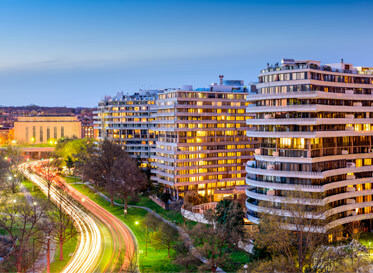 Located on the scenic Potomac River, Foggy Bottom has been home to George Washington University for more than a century, and the neighborhood and the campus blend seamlessly. Many government buildings have made their homes there, too, so there's definitely a 9-to-5 vibe there. If you're not looking for a crazy nightlife, Foggy Bottom might be a good alternative for you. There are good restaurants, quiet coffee shops, and if proximity to some of the capitol's premiere tourist sites is appealing to you, this is your place! Do any of these neighborhoods appeal to you? We can help you find beautiful temporary housing at the price that's right for you! If you imagine DC to be a sea of suits, you're probably thinking of the Downtown neighborhood. If you're all business, this is the place for you. This is the home of many of DC's most iconic buildings; the White House, the Blair House, and the Treasury are just a few examples of beautiful architecture. You can also find many of the nation's most famous museums Downtown, such as the National Archives, the Smithsonian American Art Museum, and the International Spy Museum. If you find yourself thinking that the skyline in Downtown DC is unusual, you're right; in 1899, a law was passed prohibiting the construction of buildings standing over 110 feet. Play ball! Avid baseball fans know that you can find the Washington Nationals taking the field at the state-of-the-art Nationals' Park, built in the Navy Yard neighborhood in 2008. 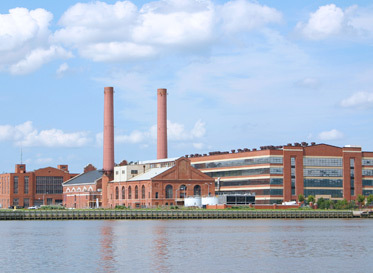 While the neighborhood used to be home to a bustling nautical center based on the Anacostia River; however, as the river became polluted and the formerly lively wharf area died down, Navy Yard went through a rough period of economic downturn. Nationals' Park played a big part in revitalizing this beautiful neighborhood, and now it's a very family-friendly place to visit. Located just east of Downtown, Penn Quarter is considerably more relaxed than it's neighbor. A good chunk of the neighborhood is taken up by the Verizon Center, home to the NBA's Washington Wizards and the NHL's Washington Capitols. The nightlife is hopping in this neighborhood, with lots of bars and nightclubs for you to visit. Or, if that's not your scene, perhaps you would prefer to visit the FRESHFARM farmer's market on Thursday afternoons in season. Bonus—DC’s Chinatown is nearby, with plenty of wonderful restaurants and a Chinese New Year parade every year. Need help finding temporary housing in the perfect DC neighborhood? Let us help. Whether you are an individual or a corporation, let CAS be the key to your successful travel accommodations. and you will hear from us shortly.